ArtRage is a flexible real media painting program with a wide variety of options and uses, and a short learning curve – even five year olds can use it with minimal supervision. It is also inexpensive, with no recurring costs, and can replace most traditional art supplies. Our digital painting apps allow students to learn more about modern technology, while also expanding their traditional art skills. We often have trouble describing whom our software is for, because it is for everyone. This may sound ambitious – a five year old has different requirements from a professional illustrator, but we are for everyone in the same way that a set of paints is for everyone. The child will smudge colors around all day (probably with their hands), and the serious artist will appreciate the quality of the brushes and the options for paint preparation. The two images on the right demonstrate the possibilities of ArtRage perfectly. Both were the first time the artists had ever used the program. ArtRage is not just educational it is creative fun for all ages. It inspires, and it allow you to create to your fullest potential. You can do almost anything in ArtRage, and it is very easy to get started. It plays nicely with common image formats, and has PSD support, along with a range of advanced features that a five year old with never notice and a twenty five year old fine artist will spend all day with. ArtRage is a very stable program with good customer support, a comprehensive manual, an active forum and a useful FAQs section. Nevertheless, as a teacher, you have probably already recognized how useful our painting software can be, and you just need some good arguments to persuade someone to pay for it. I hope that the information below will help you get ArtRage into your classroom – and if it does not, you can always contact us directly with questions. We offer bulk purchase & educational discounts. Just contact us to confirm a quote, make an enquiry or place an order. You can also buy individual licences directly from us at normal sale prices. Purchases are usually made directly through our online store, which offers a range of payment options including credit cards, Paypal and wire transfer. We can arrange alternate payment methods on an individual basis. If you wish to mix and match licences then the discount would be for the total number of copies overall (e.g. 10 copies of ArtRage Lite, 20 copies of ArtRage 5 would give you 60% off for 30 copies). We offer individual discounts of 30% off ArtRage Lite for students and teachers through the Amazon Education Program (US only). We do not offer direct discounts to students from our site, only educators. The iPad app can be purchased through iTunes and is covered by the Volume Purchase Program for Education (50% off 20 or more licences). ArtRage licences never expire and there are no ongoing support or access costs. Our software is very reliable and we offer unique traditional media features that are both easier to use and more realistic than any other program. Sale prices for individual purchases, upgrade discounts from earlier editions, and similar offers, do not apply to bulk purchases for schools and businesses (but you are welcome to upgrade your existing licences on an individual basis). ArtRage comes as both mobile and desktop painting software. ArtRage 5: Desktop software for Windows & Mac OSX. 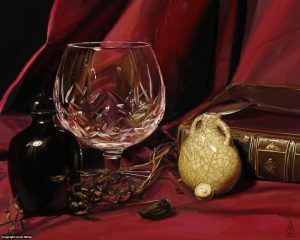 ArtRage 5 is our full painting software with all features and professional capabilities. We sell it directly through our website, and offer bulk discounts for schools. ArtRage Lite: A more accessible, less powerful, version of ArtRage 5. It includes an upgrade discount to ArtRage 5, and is suitable for beginners and people who don’t need the full range of advanced features. ArtRage Lite is a ‘perpetual edition’, so it will not be replaced by another edition the way ArtRage 4 was replaced by ArtRage 5, but it offers fewer features. There is a full comparison of the differences between Lite and 5 here. ArtRage Lite can be purchased directly from us, and individual licences are available for educational students and teachers in the US via Amazon.com. Get the Windows download here or get the Mac OSX download here (licences cover both platforms, and you can download the other version from our Member Area as needed). ArtRage 2 & ArtRage 3 (Studio/Studio Pro): Older editions of our desktop software that still come with Wacom tablets. We no longer sell these directly and recommend that users upgrade to ArtRage 5. We offer an automatic 50% discount on individual upgrades. We sell the following mobile apps via app stores. Our mobile apps feature a full range of painting tools, canvas presets and all the most popular painting features. They cost US$4.99 and should be available under the app store’s educational discount programs. 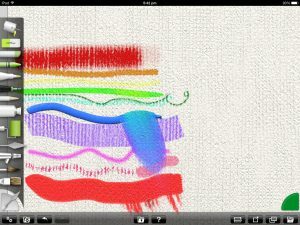 ArtRage for iPad has a full range of real media tools. While art is a way of communication across language barriers, it does help if people can read the menus. Our primary tool options are all visual icons and don’t require reading, and ArtRage’s interface can be set to several different languages. ArtRage for iOS: English, French, German, Italian, Spanish, Japanese, Korean. ArtRage for Android: English, German, Spanish, French, Japanese, Korean, Portuguese, Russian, Vietnamese, Chinese (Simplified and Traditional). We’re very proud of the fact that ArtRage is the painting software of choice for many physically challenged users. While it wasn’t designed specifically as disability software, it is easy to use, accessible, and works reliably with point and click devices and software. For example, one of our Featured Artists – Megan Fry, uses eye tracking hardware to paint. We’re also aware of several other artists facing similar challenges. We also regularly hear from users who have made the switch to ArtRage to accommodate arthritis or similar conditions. Buying ArtRage for your classroom is a great deal. Not only is it cheap, but the licence is perpetual; no subscriptions, no mandatory upgrades, no expiry. This one off purchase will allow your class to draw to their heart’s content… and your next class. And the next. We do bring out new editions every 3-4 years, but you don’t have to upgrade, and can keep using the older edition for as long as you need to, until you have the budget for the newer version. ArtRage is already very affordable, as we like to keep our art program accessible to everyone, but we also offer significant educational discounts on the desktop edition. Just contact us at education@artrage.com for a quote. The mobile apps are sold via the app stores at US$4.99 each, which makes them easy for individuals to buy for classes. The iPad app is covered by the Volume Purchase Program for Education. All editions of ArtRage are affordable enough for most students to buy their own copies if they are interested, giving them a chance to continue and expand their artistic education at home. 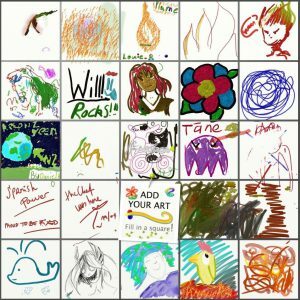 ArtRage is difficult to break – we know, because we have staff that try! All our releases go through rigorous testing, and we maintain very high performance standards. We don’t use restrictive DRM and anyone with access to the registered account can download and re-install ArtRage as needed. If you need to switch from Windows to Mac OS, you can just download the new version, because your licence covers both. We have reliable email support, and take it pretty seriously. If you run into problems, do actually manage to discover a bug, or just don’t know where to find a feature, we will do our best to help. This means that you’re getting a stable, bug free program, that will require minimal IT assistance and works across a range of platforms. ArtRage 5 currently supports Mac OS 10.8 and later, or Windows Vista, 7 and 8 (it will run on 10.6 and 10.7 but we cannot officially support these platforms if there are any issues). It includes 32-bit and 64-bit support. We also offer Windows XP-compatible downloads for ArtRage 4 licence holders. ArtRage for iOS requires iOS 10.0 and later. Graphics Tablet, iPad or Mouse? Whatever your technology, you can use ArtRage as educational software, but users will have different experiences with different hardware. This is the most powerful combination, as it allows you to run the full desktop program, and export and import images from other programs. The graphics tablet will allow fine control of the drawing, after a short learning curve (graphics tablets aren’t innately difficult to master, they just require some retraining of hand-eye coordination, so are no harder for kids than for adults), as well as pressure sensitivity. ArtRage doesn’t require a specific graphics tablet; as long as the tablet itself works and the drivers are up to date, you shouldn’t ever have a problem. A mouse can interact with the interface and menu options very well and will allow you to use ArtRage for basic image editing. But it is the most difficult setup for drawing with, because drawing with a mouse is hard. They’re just not designed for that sort of movement and have no pressure sensitivity at all. However, small children will get similar results with a mouse and will be quite happy drawing with one. These have a higher upfront cost than just buying graphics tablets for the computer lab, but they have an increasing number of uses and many people now own their own. If you are investigating teaching with mobile devices, then we have mobile apps for iPad and Android. The desktop version will also work well on tablet computers that can run Windows, such as the Surface Pro range. Drawing is both much easier and a bit harder. It’s easier, because users can draw directly on the screen. It’s harder, because many devices don’t come with a pressure sensitive stylus (or any stylus at all), and these have to be bought separately. It’s also still an emerging technology, so not all styluses will work properly. This is an area that is fast improving, though.